from completed build Xena, Warrior Princess PC! 5820k, Enthoo Luxe, First time builder. I cant get used to having more than one profile. Good build and look. The best mouse in the market imo. I waited for this one instead of buying the Proteus Core, cuz I love em LEDs. Really really loving this mouse so far. 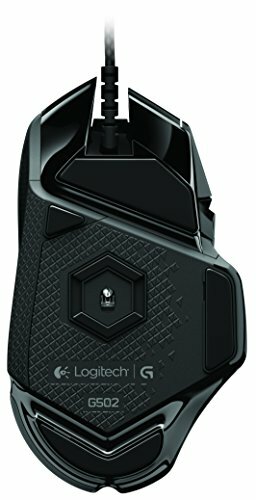 I was a big fan of the G9X the last time I had a PC, and I'm happy I decided to stick with Logitech. Logitech's software is intuitive, easy to use, and offers a ton of customization features. I chose the Proteus Spectrum over the Core model because of the RGB LEDs so I could better match the blue with my blue/black theme. This mouse really is an excellent all around mouse. I prefer to palm grip my mouse and it fits very comfortably in my hand, though I don't have huge hands, so I could see where someone with larger hands might be a bit perturbed by the somewhat narrower profile of the mouse. Really love the fit, finish, and the feel of everything. The buttons are well place, clicking feels great, and the mouse wheel is nice and clicky. Switching between DPI settings is a cinch as well, and can be fine tuned through their software to fit your preferences. 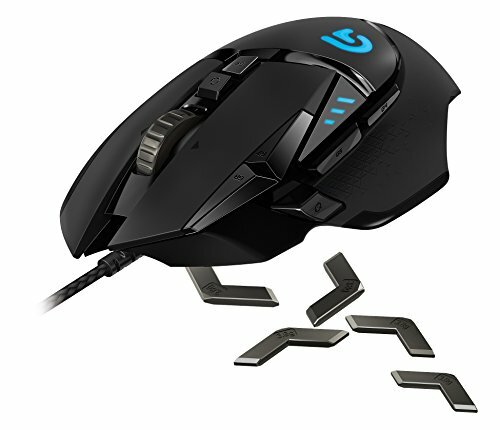 All in all just another great product from Logitech, a company I've bought a lot of peripherals from over the years. 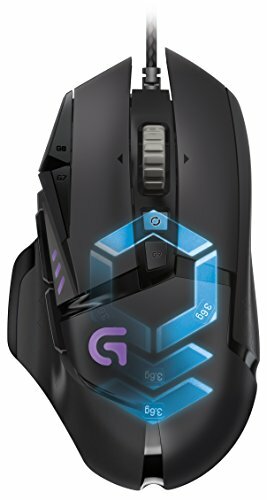 I almost jumped to a Corsair mouse, but I'm glad I chose to stick with Logitech. very nice mouse fits my hand perfectly, all the buttons are easy to reach. I love this mouse! I have never been able to adjust DPI before and it is incredible when needed. The buttons are all well placed and easily accessible by your fingers. The weights are a nice addition. I added all of them as I prefer a solid feel. Very comfortable mouse and the extra buttons and on board profiles are very handy. 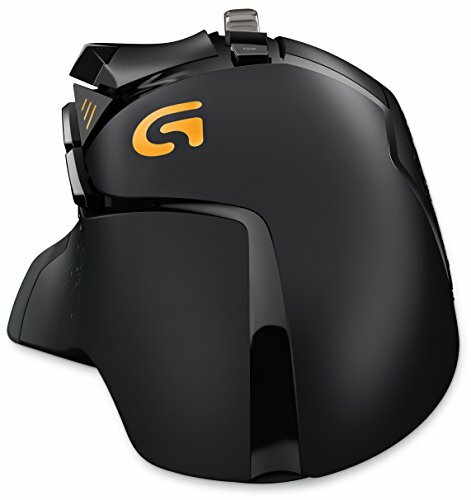 expensive and heavy but other than that its a great mouse. from completed build Black Diamond, First completed build! Best mouse I've owned. The only issue though is when you're in a heated moment, flailing your mouse around, the bottom plate that covers the magnetic weights can come off (on rare occasion). It can be annoying and takes you a couple seconds to put back on. If only the G502 didn't rely on the magnetic pull for one side of the latch, and just made both insert-able slots for a stable cover hold. Otherwise, it has an awesome feel to it, people seem to love this mouse as it's remained pretty popular over the years. There are a lot of extra buttons, high dpi, rgb customization and I definitely recommend it if you have the extra funds for gaming's sake.